A very high percentage of the auto accidents that take place every day throughout Northern California are rear-end accidents. When high enough speeds, weight differentials, or other factors are involved, these accidents can cause serious injuries and even fatalities. 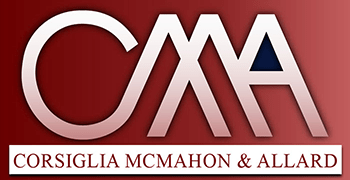 At the San Jose law firm of Corsiglia McMahon & Allard, L.L.P., our San Jose rear-end accident lawyers help injured victims pursue fair compensation. To schedule a free consultation with a dedicated attorney, contact us online today or call (408) 289-1417. You will not pay any fees unless we help you win your case. We serve clients in San Jose, Santa Clara, Milpitas, Los Gatos, and other Bay Area cities. Notable Related Case: $552,858 verdict for a woman who was rear-ended and sustained serious neck injuries, specifically to her cervical facet joints. 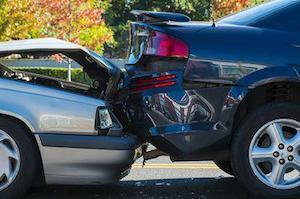 Many people believe that a driver who rear-ends someone else is always legally at fault. In fact, while this is usually the case, there are some exceptions. Whichever side of a car accident you were on, you should discuss your case with a lawyer rather than making any assumptions. Our attorneys have the knowledge and experience to carefully document who was at fault for your injuries, as well as the damages you are entitled to from the responsible party. Every case is unique. If you have been seriously injured in a rear-end accident, you need a lawyer who will take the time to evaluate the specific facts of your case. Our attorneys are recognized throughout northern California as effective trial advocates for injured people. We are prepared to take on the big insurance companies and stand up for your rights. If you have suffered a whiplash injury, head injury, or any other injury in a rear-end accident, do not hesitate to contact us to discuss your case with a knowledgeable attorney. Call (408) 289-1417.